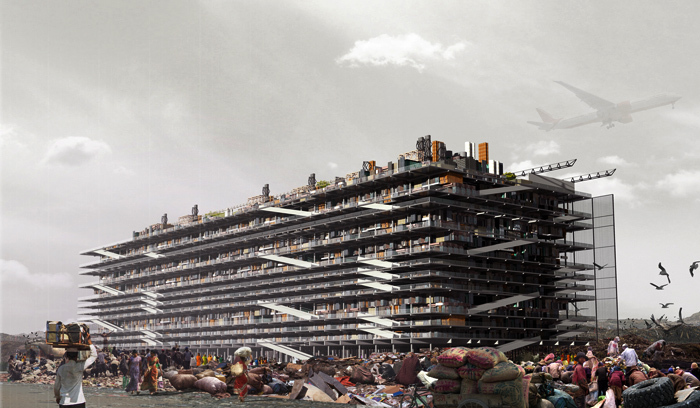 Hugon Kowalski (born 1987) is an architect who searches for innovative and sometimes unusual solutions. He goes beyond standardized forms and habitual lines of thought as evidenced by his repudiation of traditional structures and materials. In 2010, while still a student at the Faculty of Architecture and Design at the University of Arts in Poznań, he founded his own studio, UGO architecture. In the same year he started working at his alma mater as an assistant of Andrzej Kurzawski – the head of the Faculty of Architecture and Design. Since 2012 he has been an active member of the Poznań branch of the Management Board of Union of Polish Architects. It genuinely amuses me that at university we get working on crazy projects, and after graduation most people design in a very stereotypical, conservative way. Kowalski wants to work against the scheme of things. Therefore, he looks for inspiration in the news on TV or in newspapers rather than in architecture magazines. Daily newspapers cover real problems that afflict people and Kowalski is of the opinion that at least some of them can be tackled by means of architecture. Indeed, it was a press reportage that became a starting point for his graduation project which earned him first prize at the prestigious Archiprix International / Hunter Douglas Awards in 2013, making him the first Pole awarded in the 25-year history of the Dutch competition created for architecture university graduates from all over the world. Let's Talk About Garbage is a solution for the occupants of Dharavi, the biggest Asian slum, with almost 1 million inhabitants who adapts a completely different attitude towards space. Dharavi is the only slum in the world that generates profit. Thousands of small factories and workplaces thrive here, supplying the whole of Mumbai with the most necessary products. The area, inhabited by people working at a landfill, has been bought by a private investor who intends to annihilate the densely built-up slum’s land. Kowalski’s economically constructed housing block allows its inhabitants to become the architects of their own home, as families are able to decide the number of rooms, their arrangement and the materials used. It was important to me to create a structure that was cheap to erect, where people could settle and be entitled to shape and modify. It was also important to preserve any centres of social life, such as the laundry, well, toilets, marketplaces, temples, or simply streets. The whole volume of the building was elevated to create an open ground floor that serves mainly to supply garbage from the dump to the recycling part, and to export goods produced by the residents. The building itself is divided into 7x3.5m units like the multi-storey car park. There are 5820 units marked out, and their residents will independently decide on the materials to be used and will arrange the functions themselves. The basement floor is technical: biogas is produced from waste and excrement, which can become another lucrative source of income for the community. Hugon Kowalski's diploma project Let's talk about garbage, photo courtesy of Hugon Kowalski. Hugon Kowalski regularly submits his projects to both Polish and international architectural competitions. Addressing the conflict over water in Sudan he designed the Water Tower, a building that allows access to underground water sources through the use of water pumps. The form of the building was inspired by a water tower and by the symbol of the African savannah – the baobab. It houses a hospital, a school, and a food storage centre. For the Instant House international competition in Milan he designed a temporary residential mini unit, inspired by the shape of water towers and grain silos. The projects addresses the problem of urban noise and air pollution. For Barcelona he designed the Barcelona Rock hostel inspired by the Montserrat mountain range. The form of the building is a part of a mountain and its outer elevation forms climbing walls. Hugon Kowalski also specializes in urban design. 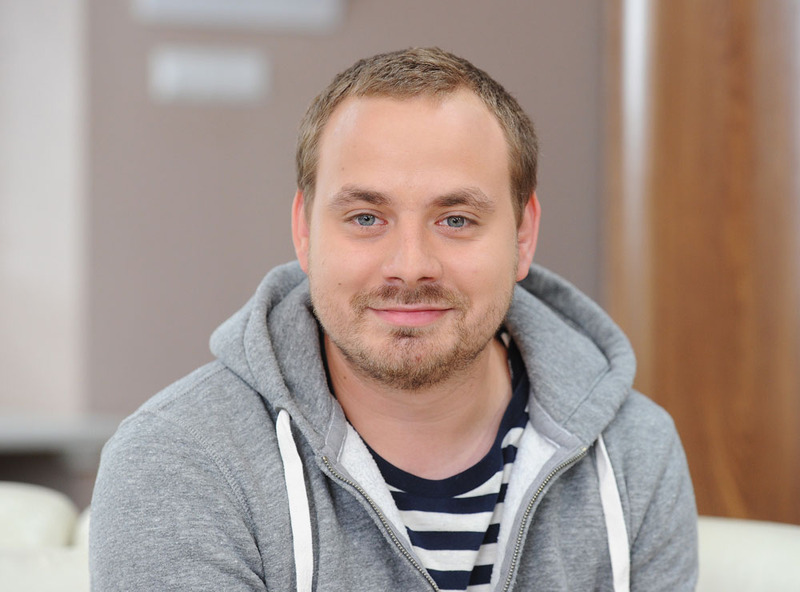 He was awarded a distinction in the competition concerning the concept of spatial planning of Narutowicz square and was granted the Maciej Nowicki award in 2014. He also designed a new transport interchange centre in Stargard and a market square in Poznań. We did not want to build a mountain hut which would look grotesque at this scale. Nor did we want to refer to modernist buildings which stick out in environment due to their sharp angles, scale, and plainness. The building has to respond to the needs of the modern inhabitants of Kielce: facilitate deepening of social bonds, meet green building standards and harmonize with the neighboring Geopark which is one of the latest architectural showcases of the town. The 127-metre-long building with truncated façades is covered with silver sheet which gives it a unique character. Thanks to its structure even the smallest flats have access to sunlight. Many common spaces: wide corridors, landings and hospitable space around the house help integrate. Such an innovative conceptual approach to design has one drawback – this kind of project often remains speculative. Despite some thirty prizes and awards earned at architectural competitions worldwide, Kowalski’s projects have not seen many realizations. But he optimistically refers to the career of Zaha Hadid, who waited thirteen years for her first project to be realized or to Wolf Prix, the creator of the studio Coop Himmelb (l)au, who waited seventeen years. According to Kowalski, taking part in competitions and engaging in new tasks is a good apprenticeship as it develops creative approach to new challenges and prevents falling into a routine. In 2012 he was chosen the winner of the first Archi-World® Academy Awards: a contest for young architects and students in architecture. He has won the International Design Award twice (2008, category: New Residential Building; 2009: 2nd place, category: New Commercial Building, New Residential Building). His designs have been showcased during exhibitions such as: Seoul Design Fair in 2011, Milan MadEXPO, International Eco-building Exhibition in 2010 in Bologna and in 2009 in CUBE Gallery in Manchester (as part of an exhibition organised by the Royal Institute of British Architects).